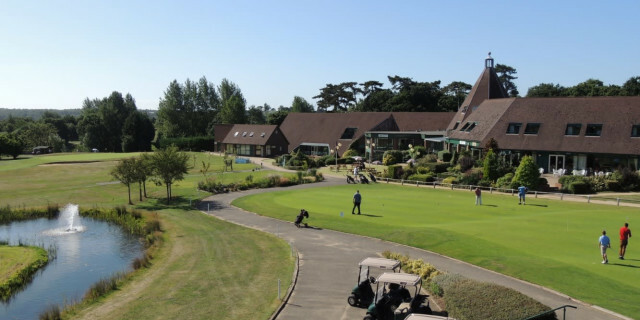 Set in the picturesque Suffolk town of Woodbridge, Ufford Park Golf Resort is an excellent parkland resort course which boasts natural undulations and scenic views. 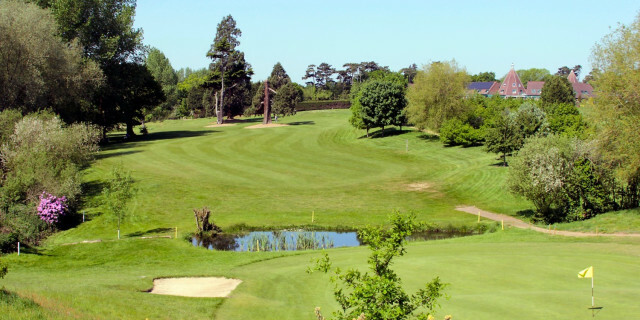 The course itself, which circles around a five-acre conservation area, offers a fantastic test for members and visitors alike with water coming into play on 12 of the holes. As well as the golf course, the resort boasts a 90-room hotel - as well as the 'Golfers Lodge' ideal for golf breaks. A Spa, Health Club, Restaurant, Bar, two tiered driving range and the infamous Congo Rapids crazy golf, which is great fun for the kids (although I'm sure the adults will also have a blast!). 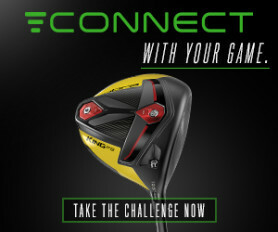 Although the resort doesn't have a 'traditional' pro shop, the on-site American Golf superstore has everything you would need before, during and after a round of golf. The driving range is available to use as well as a large putting green overlooking the 1st tee and 18th green. The front nine opens with three fairly relaxed holes; the 1st being a good early scoring opportunity, but it is when you stand on the 4th tee that the course kicks into life. From a raised tee you will need to negotiate a very tight tee shot through the large looming trees, a gentle fade is also required as the hole sweeps back up the fairway from left to right. If you manage to get into position off the tee, a precise mid-iron will still need to be struck in order to avoid the three bunkers that seem to surround the green all the way round apart from the front entrance. The 5th runs adjacent, club choice on the approach shot down onto the green is key to not go long into the water hazard, and the 6th is a brutal par five (602 yards from the back). Working your way around the large Oak tree in the middle of the 7th fairway will offer up a scoring chance before the demanding 8th. Another right to left, tight tee shot through the trees with OOB stretching up the right-hand side, even if you have found the fairway another tough shot awaits to the green which slopes from back-to-front with the pond sitting waiting to grab anything short! Another stunning hole. The par threes feature heavily on the second nine. The 10th requires a demanding tee shot down to the wide but narrow green. Another pond sits at the front with a bunker at the back but all that grabs your attention from the tee is the beautiful water fountain within the hazard. The 12th is a whopping 229 yards from the backs and whilst the 16th is a modest 150 yards, the pond in front that stretches up the left hand side of the green and oak tree that sits in the middle give you enough to think about off the tee, before you even reach the tricky green. There are scoring opportunities on the back. The 11th is there for the taking as long as you're short of the fairway ditch, big hitters will fancy taking on the 294 yard 13th - although blind from the tee - and the large pond that sits in front of the 14th green is easily avoidable on approach. Risk and reward at the 15th with only 260 yards to the green, but the largest of water hazards to navigate over meaning laying up might be the best option for some. The finishing hole is a fairly wide par five, however going for it in two might not be the best option as true to form, the water surrounds 75% of the green which leave for a precise wedge and easy par to finish. Maybe. The layout of Ufford Park is fantastic. So much variety and not too harsh off the tee meaning golfers of all abilities will enjoy the visit. Due to the nature of the Suffolk land, the course is on it drains extremely well meaning even a winter visit would be ideal. In fact the course has won industry accolades for being such a good option for winter golf. The condition of the fairways is top notch and the green are so excellently maintained. After the round you also have so much choice for a quick drink or stay for a nice meal in the restaurant. All round Ufford Park has everything you could need, whether it's a flying visit to take in 18 holes, or a well deserved golf break. 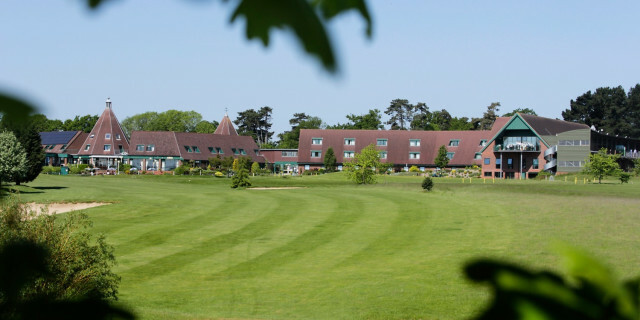 Don't look any further than Ufford Park.